The Postal Service would do well to honor Keith Gilbertson Sr. on a commemorative stamp, simply in recognition of all the postage fees he generated. 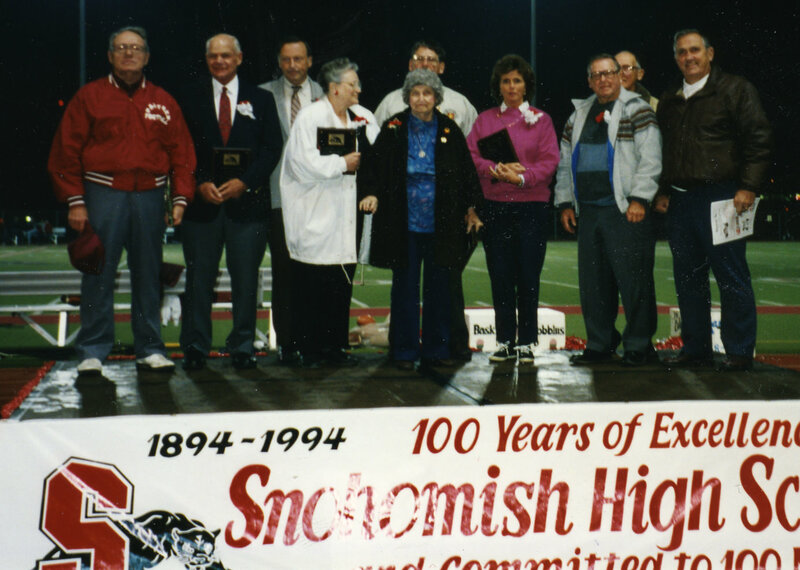 Throughout his 61-year coaching career at Snohomish, he corresponded regularly with hundreds of coaching colleagues, friends and former students and athletes, many of who became teachers and coaches themselves and viewed him as a role model. He sent dozens of messages every week – sometimes 80 or more – composed on a WWII-era manual typewriter, generally in the early mornings before most people are even awake. No one could have made better use of email. But while Gilbertson’s medium remained old-school, the messages were fresh and almost always inspirational. Many showed up as notes on paper the size of index cards, sometimes turned sideways to get in the last phrase or few extra words that otherwise would not fit. He shared news of the Panthers and mutual friends, and offered encouragement. Phone calls kicked in when the messages exceeded card size. When circumstances called for face-to-face meetings, he made the time and the effort. “For a ‘retired’ person, I never knew anyone with such a busy schedule,” SHS football coach Mark Perry said. Yet, when former students or athletes happened to cross paths with Gilbertson, the chance meetings often turned into mini reunions as he would seize the moment to inquire about health and family and reflect on old times. “He built relationships. That’s what he did best,” said Ken Roberts, Snohomish girls basketball coach and a 1986 SHS grad who had Gilbertson as his own coach in football and basketball in high school. Asked where Coach Gilbertson had the most impact on his basketball program, Roberts saw it two ways: “What he did for the coaches and what he did for the kids. He filled a lot of different roles for different people. Over the past decade, Roberts and Gilbertson also reconnected on a spiritual level as Christian-minded men, and like so many before him, the younger man saw Coach as a role model. “As coaches, just being around such a strong moral compass, it makes you work harder to always do what’s required to make people better,” he said. Among the many honors bestowed on Gilbertson in his career, one that perhaps escaped widespread notice was his inclusion in the first group named to the John R. Wooden Coaches Wall of Honor in 2006. Administered by the faith-based Pro Athletes Outreach and sanctioned by the late, great UCLA basketball coach for whom it is named, the Coaches Wall of Honor recognizes coaches who are both quality role models and intentional about the influences they have in shaping excellence and integrity in others. For Keith Gilbertson, that work never stopped.